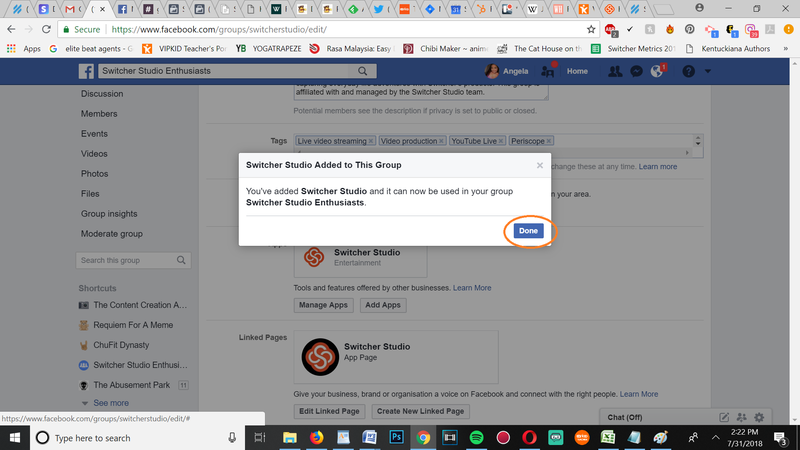 With Switcher Studio, you can go Live to any Facebook Groups that you have Admin permissions for via Facebook. 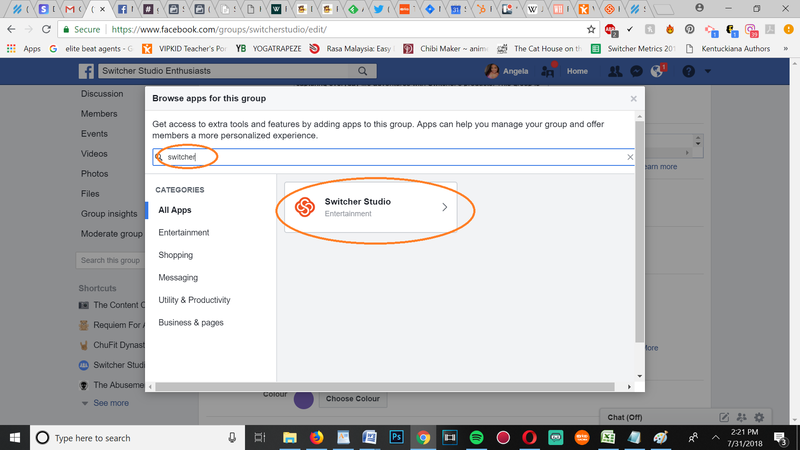 However, an Admin of the Facebook Group must first accept Switcher Studio as a streaming destination. If this is not done, you will see Error 200 appear on the screen when you try to go live. 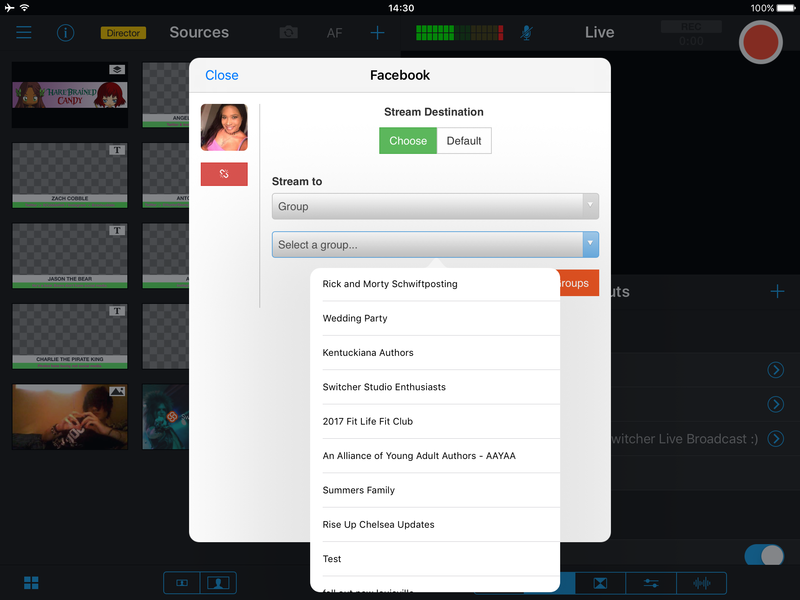 This guide will show you how to stream to a Facebook Group from start-to-finish. 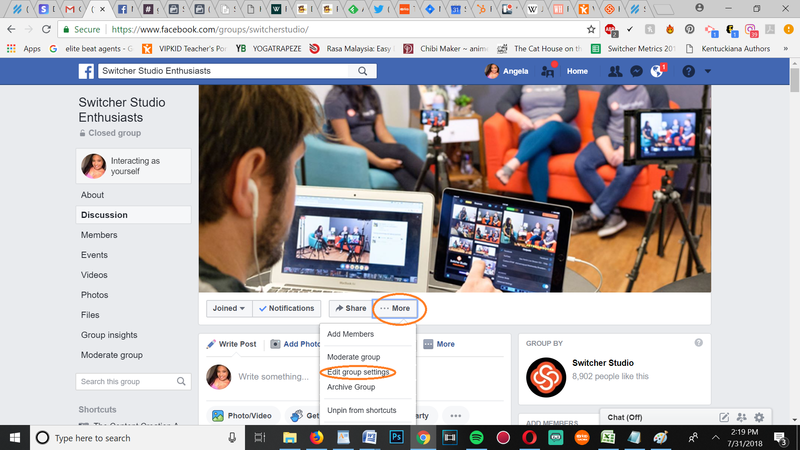 Navigate to your Group on Facebook. Remember that you must be an Admin of the group. Select "More...", and then choose "Edit Group Settings". Scroll down to where it says "Add Apps". Click on this. 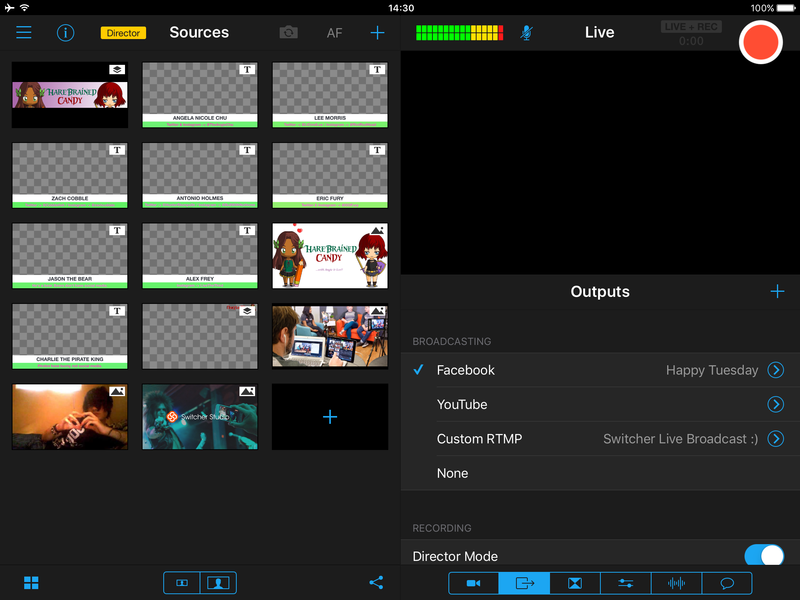 Search for "Switcher Studio". 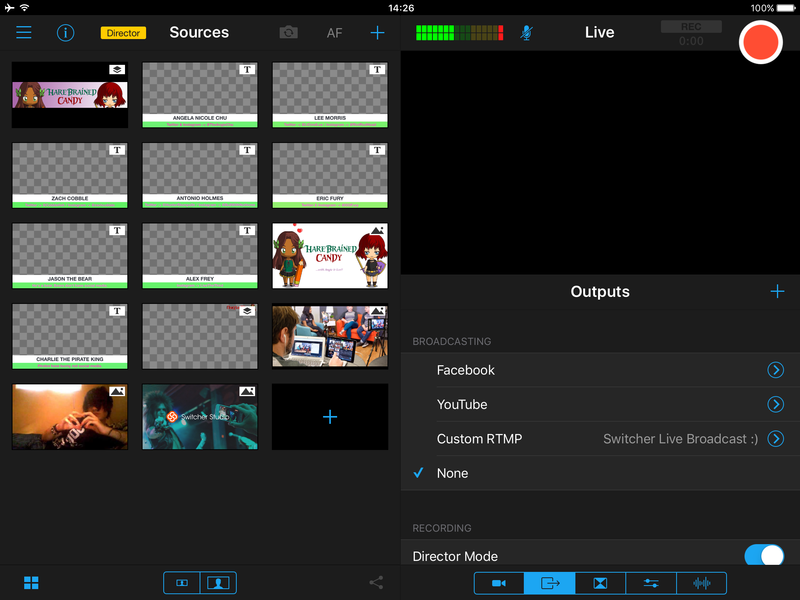 Select "Switcher Studio". 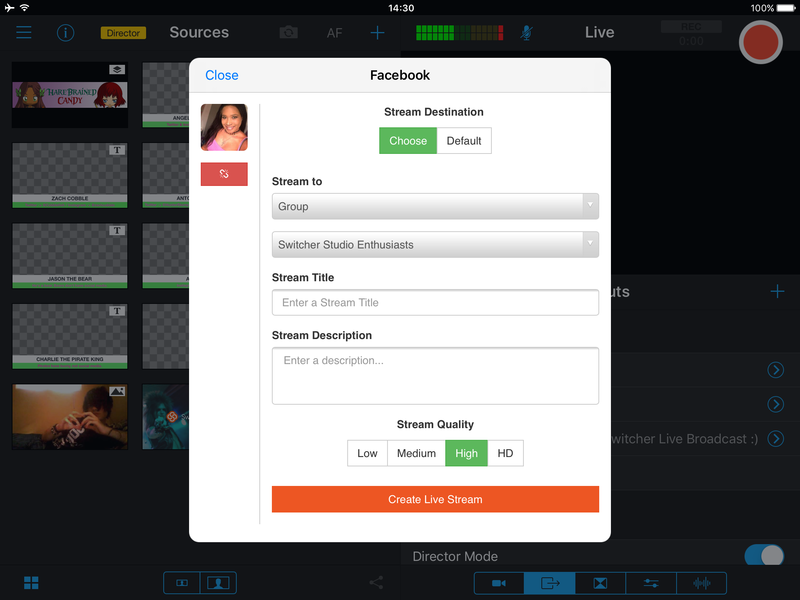 Confirm that you wish to allow streaming to your Group from Switcher Studio's servers. Select "Add". 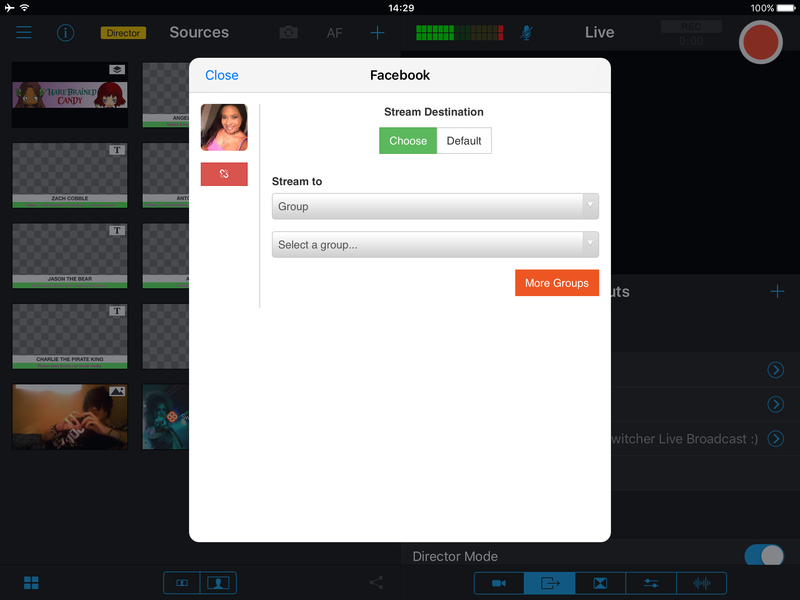 Log into the Switcher Studio app on your main switching device. Tap on the blue arrow beside the word "Facebook" once you are logged into the app. 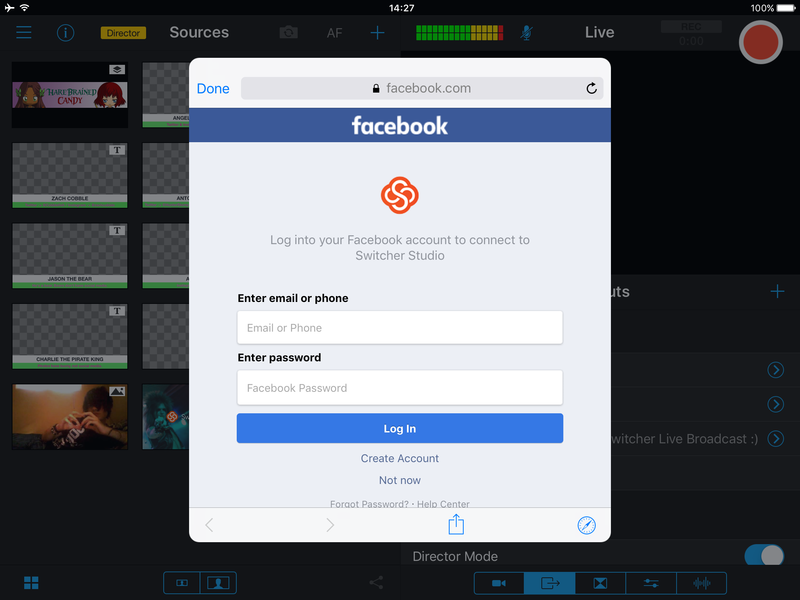 Enter in your Facebook login credentials. Note that these can and may vary from your Switcher Studio login credentials. 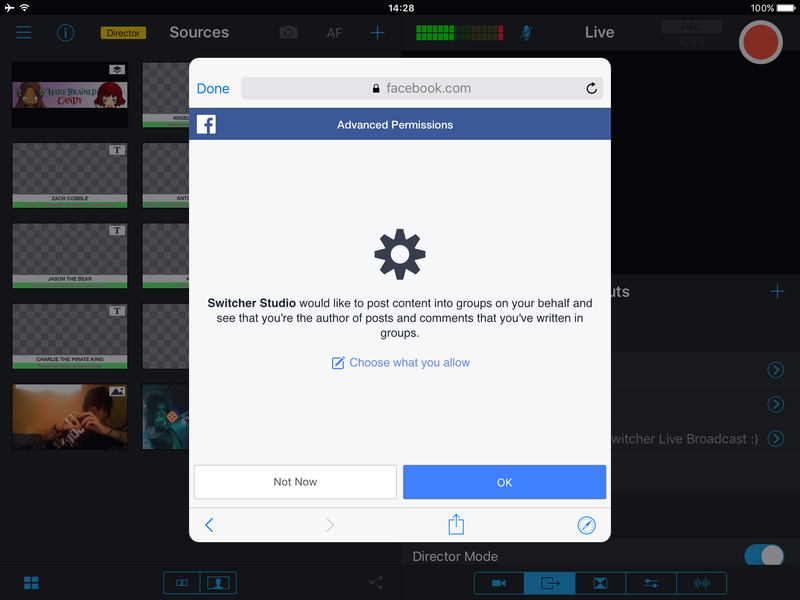 You will need to use whatever is used to log you in on facebook.com. Allow Switcher Studio to post publicly. Changing this from "public" can cause many issues, so leave it set to "public". 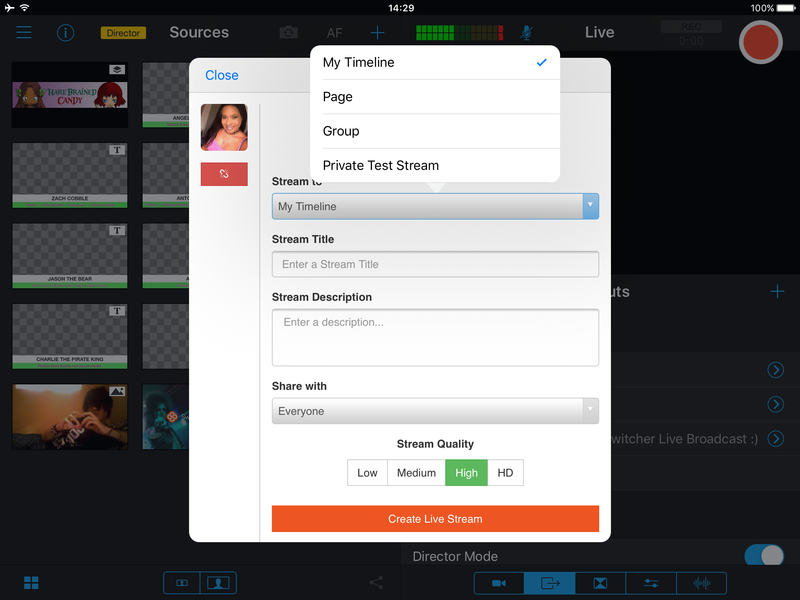 You will be able to customize the visibility of each individual stream. 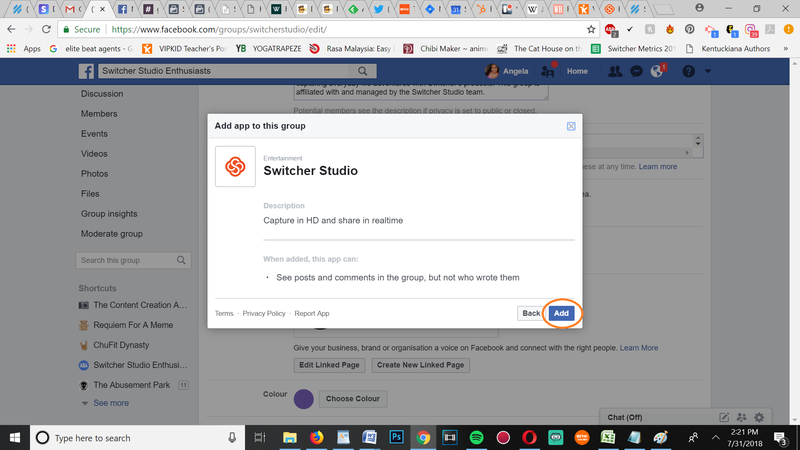 All Switcher Studio to post to Groups. Tap on the dropdown box for "My Timeline". Select the Group that you want. 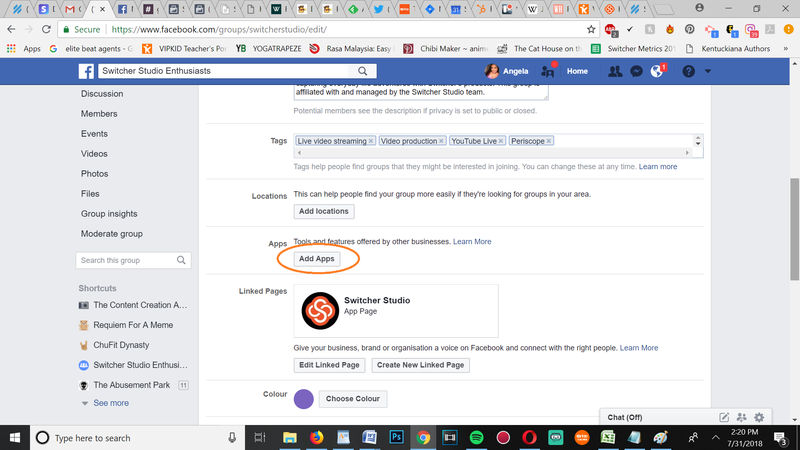 If you do not see it listen, select the orange "More Groups" button to load additional Groups. Now, enter in a title, a description, and a stream quality. 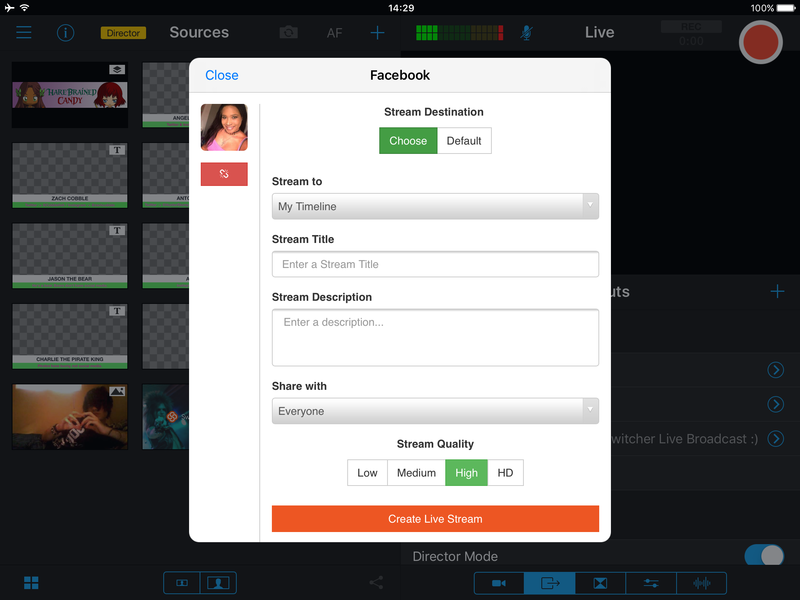 Select "Create Live Stream" when you are done! Tap on the word "Facebook" to place the blue checkmark beside it. You should see your stream's title on the Facebook line in grey text. 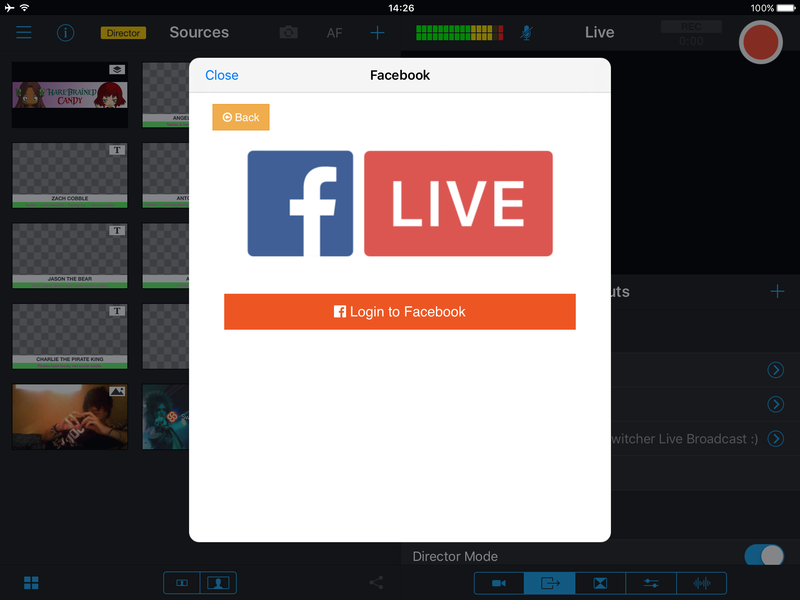 Tap the red button at the top-right corner of the screen to go live when you are ready!